Duke Of Wellington, now demolished, 24-26, Sherborne Road, Yeovil, Somerset, BA21 4HE. 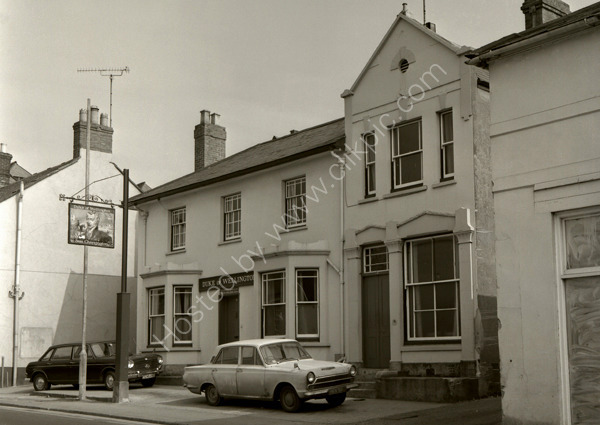 This shot taken around 1974 when the pub was trading as a Bass Charrington pub. The Cortina has the registration HKN 914D and the car behind it is HYC 732D. The license plate above the pub door appears to be for G H Hendy. For commercial use of this photograph please visit www.alamy.com and search for A691K2 but for a one off print, please see below.